GROHE faucet and shower products are distributed in more than 180 countries and represent nearly 80 years of excellence in European design, innovation, engineering and quality. GROHE America’s headquarters are in the heart of the Flatiron district and houses the GROHELive! Center, an interactive showroom created for inspiration and collaboration. 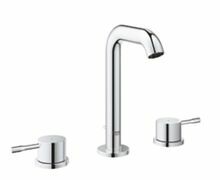 The GROHE Group is the world’s leading provider of sanitary fittings, comprising Grohe AG, Hemer, Hamburg and other subsidiaries in foreign markets. 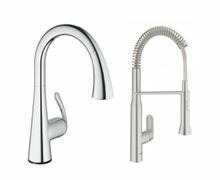 With its global GROHE brand, the GROHE Group relies on its brand values quality, technology, design and responsibility to deliver “Pure Freude an Wasser” (Pure Joy of Water). 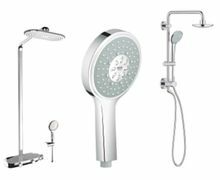 In 2014, GROHE became part of the LIXIL Group Corporation, a publicly listed company on the Tokyo Stock Exchange. LIXIL is the global market leader in the sanitary ware industry, managing a broad portfolio of well-known household brands such as GROHE, American Standard, and INAX. It is also Japan’s leading provider of housing and building materials, products and services. A state-of-the-art product portfolio is developed in an integrated innovation process, driven primarily by the in-house Design, R&D and production teams. The “Made in Germany” labels the German production and is a seal of quality. More than 240 design and innovation awards in the last ten years alone mark the success of GROHE.